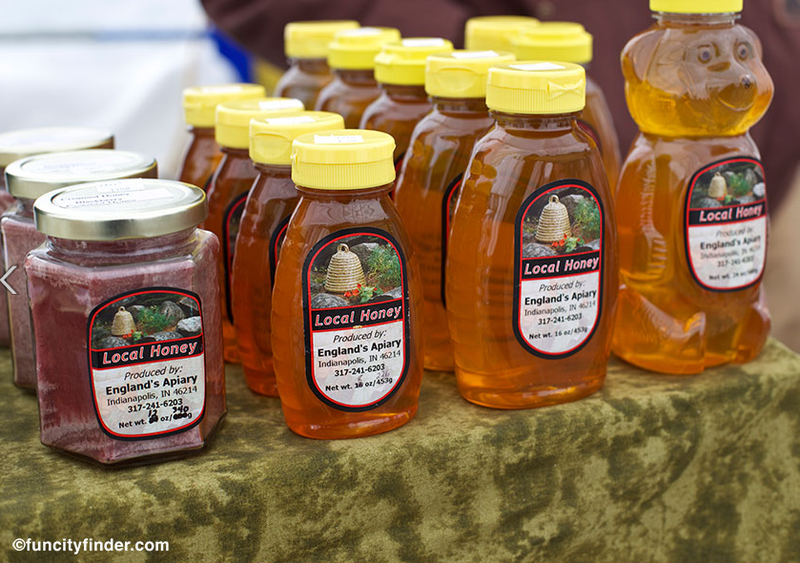 This Sunday, June 1st Crown Hill Cemetery will celebrate 150 years! 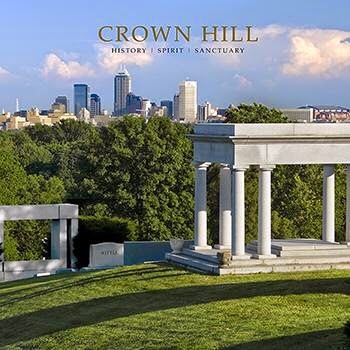 In celebration of the sesquicentennial, the Crown Hill Heritage Foundation and Indiana Historical Society Press have published a 380-page book entitled “Crown Hill: History, Spirit, Sanctuary”. The Indianapolis Indiana cemetery was dedicated June 1, 1864 and the first interment was held the next day. Today, over 200,000 people rest among 555 rolling, tree-covered acres, making it the third largest non-government cemetery in the U.S. The park-like setting is home to thousands of stories, many of which the book shares, along with photos. The history of, and in, this cemetery is interesting and informative. The photos provide intricate and often over-looked details in the cemetery whether depicting chiseled mausoleums, abundant wildlife, or deeply etched shadows on a statue’s face: The fascinating photographic angles give the reader an even greater feel for the subject. Crown Hill is the final resting place of numerous famous and notorious people from politicians to artists, actors, community and state leaders, automotive manufacturers, musicians, and countless others. Many of their stories are captured upon the pages of the Crown Hill anniversary book. Hoosier Poet James Whitcomb Riley was the first person to be buried on top of the crown in 1917 – 18 months after his death. From the top or the crown of the hill, you can see downtown Indianapolis, almost 3 miles away. 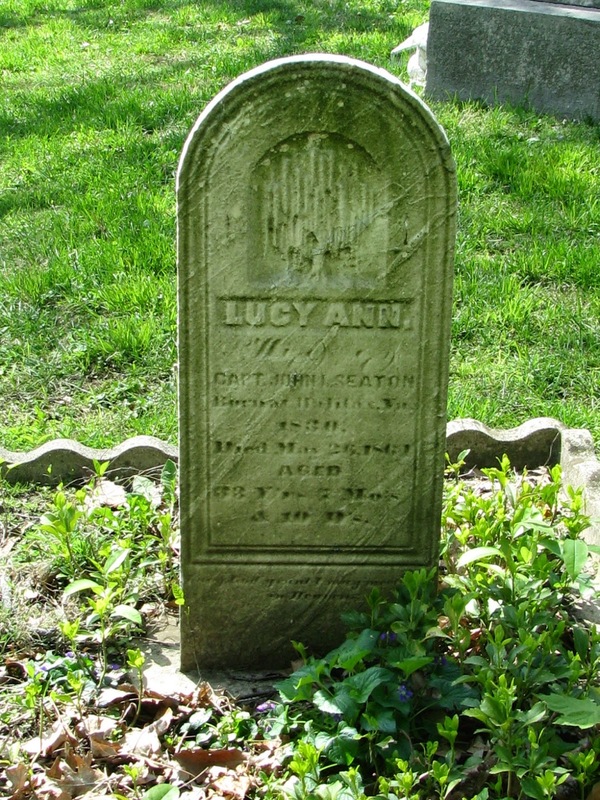 Other well-known people interred in the cemetery include Lyman Ayres, founder of L.S. Ayres Department stores. 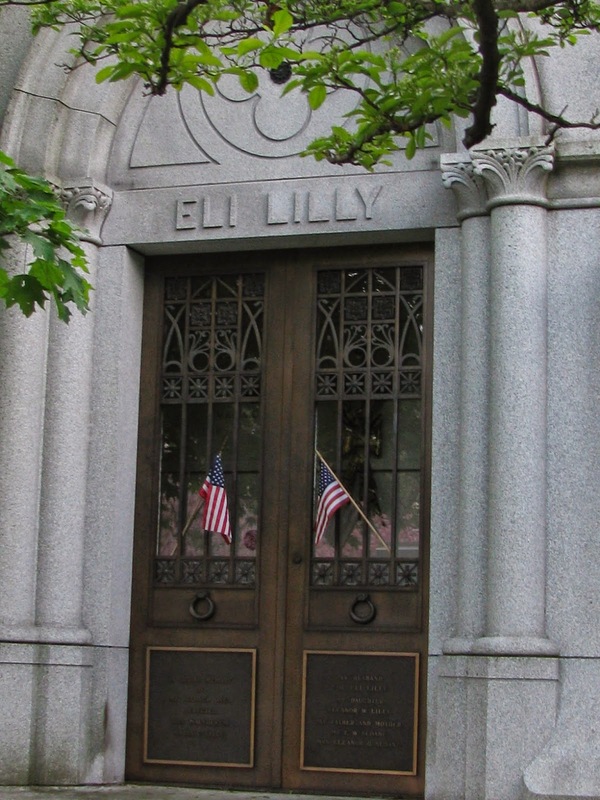 Colonel Eli Lilly, Civil War Commander and pioneer pharmacist, who founded Eli Lilly Laboratory in Indianapolis. Dr. Richard Gatlin, inventor of the Gatlin gun, along with John Dillinger, the infamous 1930’s bank robber. Crown Hill is also home to a National Cemetery. It was 1866 when the U.S. Government purchased 1.4 acres of land within Crown Hill to construct a military cemetery for Civil War soldiers. Over 700 soldiers were interred by November of that year. In all, 2,135 soldiers are now buried here, representing every war in which the United States has taken part in up to and including the Viet Nam War. The last burial was for Air Force Major Robert W Hayes in 1969. There is also another military burial ground in Crown Hill: The Confederate Mound is the final resting place of 1,616 Confederate Prisoners of the Civil War. These southern soldiers died while being detained at Camp Morton from 1862 through 1865. Most were originally buried at the City Cemetery, but were moved in 1931 by the War Department. Public and private tours of the cemetery are offered throughout the year. There are four different tours scheduled during the anniversary month. 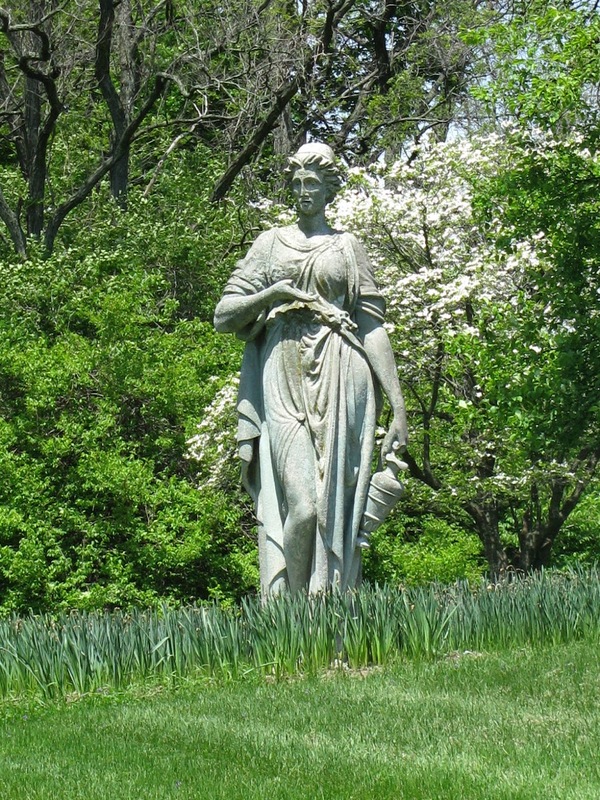 Tours will be held on each Saturday this month and include: Angels of Crown Hill (June 7), Heritage Tour, which includes a visit to over 40 graves and monuments of well-known and notable people (June 14), Private Family Mausoleums (June 21), and Skeletons in the Closet, Part 1 (June 28). All tours begin at 7:30 p.m. except June 21 when the mausoleum tour is held at 9:30 a.m. 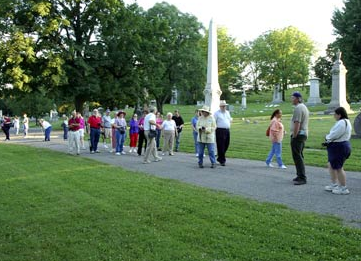 The “Spirit of Freedom” event, celebrating the African Americans who fought and died during the Civil War, will be held June 5th, 10:45 to 1 p.m.
Crown Hill is a true Rural Cemetery offering something for everyone; history, architecture, art, walking tours and nature, all in a serene and beautiful setting. Happy 150th Anniversary to this magnificent City on the Hill!